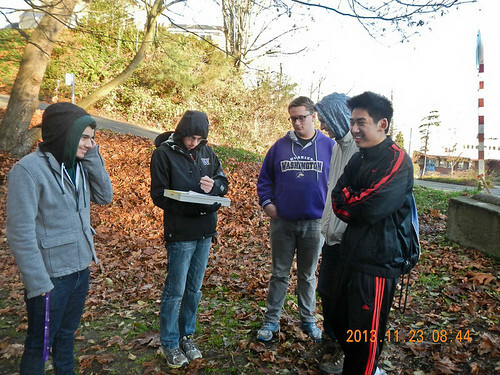 The November work party was a fine end to a great year for North Beach Park. 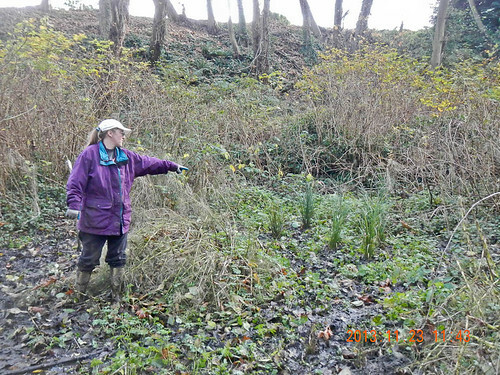 We had 12 volunteers who got more than 150 plants into various places through out the park, including some wetlands. It was great to emerge from the cool park into an atypically warm, dry, sunny November day. 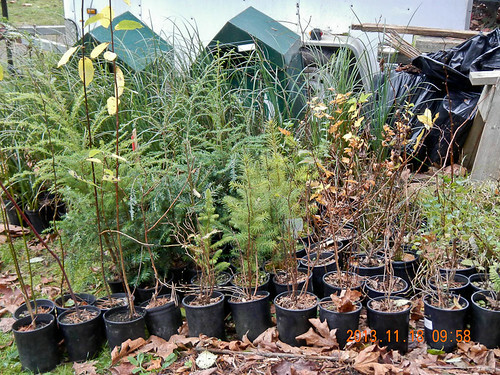 Here’s what we had to work with — 200 trees, shrubs, and ground cover. The order was placed in June and delivered in late October. By fortunate coincidence, it did not duplicate too much the plants installed by EarthCorps and the contract crew. These guys signed up in advance and when asked what brought them to North Beach Park, just said it was “their philanthropy.” Everyone who worked with them enjoyed the experience. Later that same day: The volunteers shown signing in above are now hard at work. 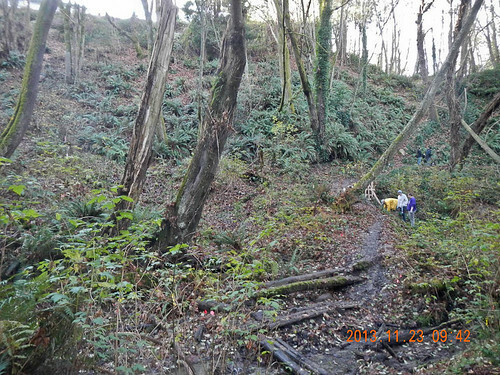 There’s a naturally-occurring stand of slough sedge in another part of the park that works with salmonberry to hold a good toe of a slope against erosion. This is planted in a bottom area that is very wet. If it establishes, it will help hold the slope and even push back the ivy. Julie, Wenny, and Drexie did a lot of planting in the Headwaters Bowl. 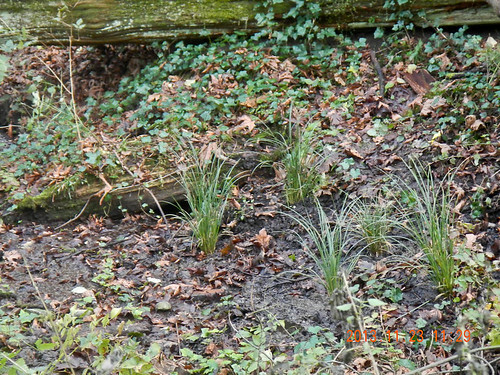 Julie shows their handiwork: more slough sedge, Dewey’s sedge, and some rushes. As usual, there are more pictures on flickr.